It is within the hallowed spirit of the rule of Law, and in the broader context of protecting the integrity and dignity of our country, Liberia, that I find the unyielding courage to pen this memo—hoping it appeals to your individual and collective conscience. Senators, permit me to remind you that you have a quintessential charge, not only to make laws but under oath to also protect the laws of the country with the highest degree of integrity and nobility. This, I believe, you will concur, is morally and ethically fundamental! The Constitution of Liberia finely embeds the laws of the land, and unequivocally inscribed therein, that no provision of the constitution shall be violated, and given the gravity of the violation, proportional penalties in keeping with the law can be applied. Article#54 of the Liberian constitution precisely states; “The President shall nominate and, with the CONSENT of the Liberian Senate, appoint and Commission: officials of the Executive”. Consent, in the case, I believe, means CONFIRMATION, a power reserved for the Liberian Senate ONLY. Article#2 of the Liberian Constitution plainly emphasizes the supremacy of the Constitution and intimates that its provisions shall have binding force on ALL, not few or some. Article#3 dwells on the separation of powers and checks and balances— it bequeaths to each Branch of government certain degree of power that must be exclusively exercised without any form of hindrance and usurpation. The Liberian Constitution is plain, simple and unambiguous! Even a brilliant 7th Grade student in Liberia can read, comprehend and interpret its provisions, thus lingering the question; why people in the echelon of power, who are said to be “well-educated”, are finding it difficult to understand such simply written document? Or do they just choose to be rebelliously dismissive of the law? Consequently, the core thesis of this memo is the despicable and unconstitutional commissioning and posting of Ambassador George Patten to Washington D.C., the USA by President George Manneh Weah, who within just one year of his Presidency has sadly badged himself as an avowed violator of basic laws of the country, he is under constituional oath to protect! Senators, let me express my thanks to all of you for garnering the thoughtful courage to reach a unanimous plenary decision that will see Ambassador Patten shamefully yet rightfully return home and undergo confirmation. In the same regard, it would be remiss of me if I didn’t extend myriad of thanks to Senator and Patriot Nyonblee Kangar-Lawrence of Grand Bassa County who alarmed and accentuated such deliberate and disdainful constitutional violation through a conscious letter addressed to her colleagues a few weeks ago. How preposterous and condescending it is, to have an Ambassador commissioned and posted to a foreign mission, and weeks after, he is made to return home on grounds that his occupation of the post is purely unconstitutional. It certainly tells a lot about the integrity and quality of national leadership in Liberia. If this is not an enigma of the Presidency, then I know no other way to describe it. To put it more bluntly, the ill-advised commissioning and subsequent posting of Ambassador Patten hugely exposes the bereft nature of people advising the President, many of whom are privileged loyalists who ultimately lack the intestinal fortitude and spine to look in the face of the President and tell him the plain truth. What is even disturbing is the fact that their “loyalty” to the President is not only parochial but has become extreme and perilous to the very President they fondly idolize. The sooner President Weah can discern that these so-called loyalists are the ones devouring and dooming his government, the better it is for him. The unlegislated commissioning and posting of Ambassador Patten is not embarrassing only at home, but even more demeaning of our country in the international community, as such episode defies both the traditional nuances and trappings of diplomacy and theories of international relations. The return of Patten is absolutely weird, even though it is a welcoming and relishing development by all apologists of the rule of law. 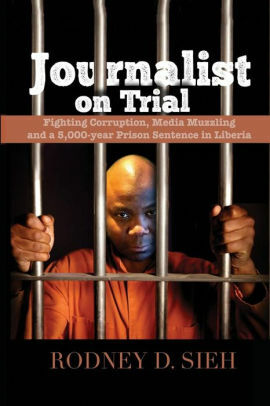 Even if there was any rush to have a Liberian Ambassador posted to the U.S., which doesn’t seem a legitimate reason to flaunt the law anyway, President Weah could have simply appointed Patten as ‘Acting Ambassador’, and later appoint him ‘proper’ when the Senate shall have reconvened Session, and have him go through his confirmation. Well, since President Weah and his handlers have willfully and arrogantly chosen to bastardize the law, at least, you, our dear Senators have chosen to rightfully uphold the law on the Patten debacle. By decisively requesting the return of Patten to undergo confirmation, you have distinguished the Liberian Senate in a profound manner, however, this is just the first step in upholding the rule of law, a milestone decision we respecters of the rule of law, surely commend and celebrate. The second and very important step shall be to send an unwavering message to the President that upholding the laws of our land cannot and must not be compromised or taken lightly. The way to do this is to penalize the President for flagrantly violating the law, and clearly disrespecting your authority to confirm his Ambassador. Our dear Senators, in the spirit of upholding the rule of law and ensuring the integrity of our country, I humbly beseech you to categorically reject Ambassador Patten for conniving and colluding with President Weah to willfully violate the Liberian Constitution. I believe that anyone who intentionally and knowingly violates the law certainly has no place for dignity and decency in his/her genre, as such; he/she must not be treated with even a modicum of dignity. This is also the radical approach we must adapt to tackling and ending the perennial nightmare of impunity in Liberia. Penalize people when they intentionally do wrong, as in the case of President Weah and Amb. Patten. This is law, not politics! The office of Ambassador bestows upon its occupier the charge of trust, nobility, and integrity, something he/she must uphold as core values in the discharge of the duties thereto. Drawing on the logic of morality, a man who proudly indulges himself into sheer lawlessness certainly lacks the moral credential and stately persona to occupy such an honorable office. Therefore, I strongly argue that confirming him to such honorable office sends a disconcerting message about our pride, intelligence, and dignity, as a nation and People, as such; I recommend the Senate rejects him. By the way, why should the Honorable Liberian Senate tolerate and confirm an individual who takes pride in swindling the law? Why should the Honorable Liberian Senate honor a man who shows no regard for its constitutional authority? Dear Senators, until his recent appointment, Amb. Patten served as Ambassador near the Capital city of Addis Ababa, Ethiopia, a position he didn’t dare occupy until he was confirmed by the Liberian Senate. 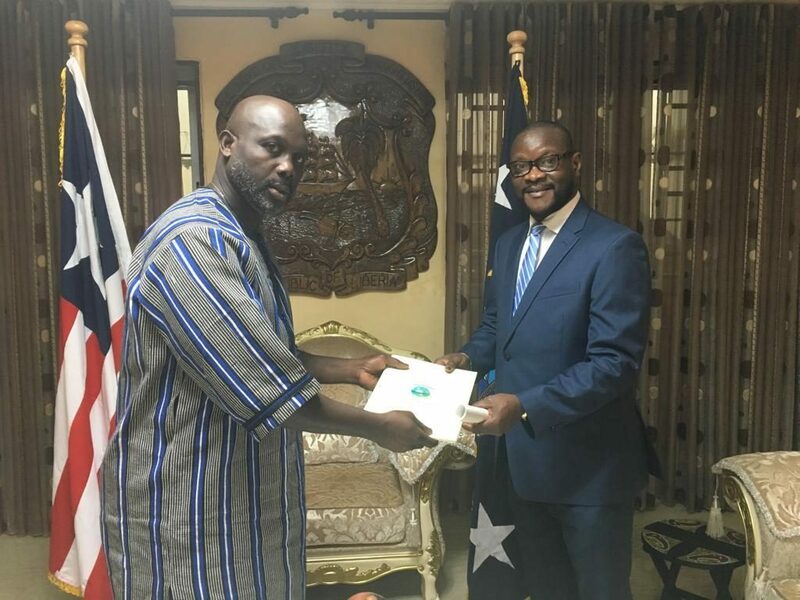 He knows that as a presidential appointee, one must be approved by the Liberian Senate through the rituals of its confirmation. This is the LAW, and it must be respected by every decent person, most especially someone who has been preferred to represent our country to its largest and oldest foreign mission, the United States of America. Should we designate a guy who takes pride in unbridled lawlessness to such post? My answer is a resounding NO! Senators, let me quickly remind you that good governance begins with the rule of law, and of course, the rule of law remains one of the key fundamental principles in consolidating our fledgling democracy, as well as sustaining our hard-earned peace. Irrespective of your political affiliations, each of you has a shared duty to ensure that the country is governed in a right manner and must muster the will to foil any attempt to undermine the law and good governance of the country. ‘Imperial presidency’ must never be permitted to germinate in Liberia again; every sign of its creeping presence must be fiercely confronted and resisted with full force. I believe you can do this by setting good examples, and one good opportunity has availed itself—to set this good example. I respectfully endorse you to reject Ambassador Patten as a pragmatic way of emphasizing the significance of abiding by the rule of law and instilling constitutional discipline in the governance of the republic. The world is watching you, and writers of history are watching you, too, I respectfully implore you with every emphasis at my command, to do the honorable thing, which is to resolutely reject Ambassador George Patten when he appears in your chambers. This, I believe, will echo a powerful message to the Executive Branch regarding the defined separation of powers. In conclusion, let me leave you with these few words; serve today knowing that you have a constituent to return to after your service, and a string of answers to give in accounting for your stewardship when all is said and done. The reality is that there is an epoch of reckoning after public service. Somewhere, there is a record book for the 54th Senate, in which each of you has a page on which the role you play every day is inked. Posterity will surely revert to those pages someday. Thanks for your service to our country, and may God bless Liberia!